A native of Alabama 's Muscle Shoals area, Donna Jean began singing as a studio session vocalist in the 1960's as the “Muscle Shoals Sound” was birthed. She was a background vocalist on a number of hit records that were recorded in Muscle Shoals and Memphis, including “Suspicious Minds” and “In the Ghetto” by Elvis Presley, R.B. Greave's “Take a Letter Maria,” “Brother Love's Traveling Salvation Show” by Neil Diamond, the Percy Sledge album “When a Man Loves a Woman,” as well as “Boz Scaggs,” (his acclaimed first solo record), and Cher's first solo record, “3614 Jackson Highway.” She also recorded with Joe Simon, Joe Tex, Ben E. King, Etta James, Dionne Warwick, and many others. Donna Jean left the Muscle Shoals area in 1970 for San Francisco where she met her late husband, piano player Keith Godchaux. The Godchaux's joined “The Grateful Dead” in 1971 and were band members through March of 1979. In the mid-70's, Donna Jean also toured with the “Jerry Garcia Band,” and the band, “Keith & Donna.” A vocalist and songwriter, her songs were recorded with all three bands. 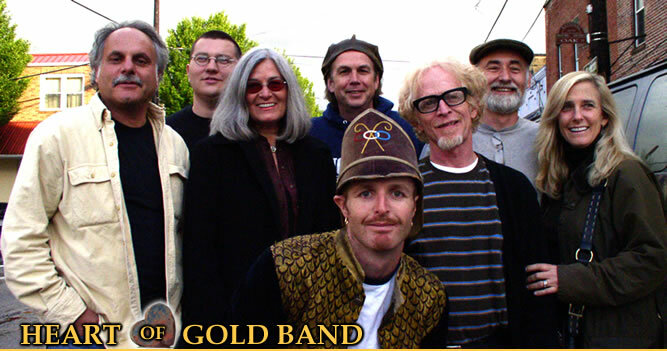 The Godchaux's later formed the “Heart of Gold Band” with drummer Greg Anton. As a former member of “TheGrateful Dead,” Donna Jean has been inducted into the Rock and Roll Hall of Fame. Her years with the band and her vocal work in the Muscle Shoals recording studios also earned her an induction into the Alabama Music Hall of Fame.